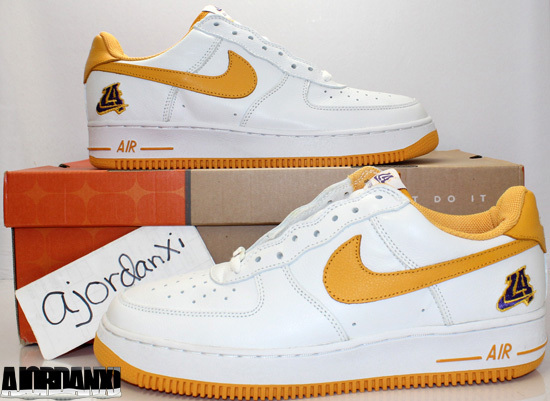 In 2004, Nike released its first "LA" edition of the Nike Air Force 1. While most of you have seen these before some of you might not realize that two versions were accidentally released. 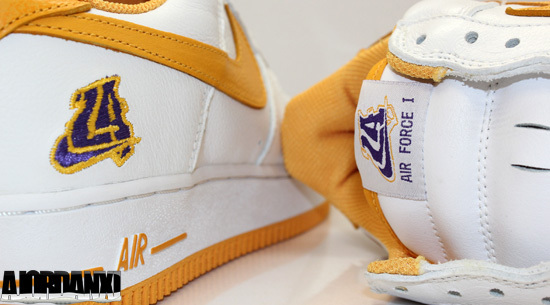 Yes, two versions of this Nike Air Force 1 "LA" were released however, the second edition was actually, a mistake. 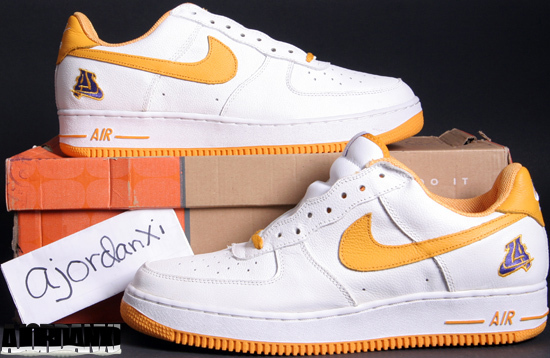 While the version found in stores was featured the "LA" logo on the tongue tag and heel, another version found its ways to Nike outlets later that year. The second version, a misprint, featured the "LA" logo on one of the heels stitched on backwards. Enjoy a look at the two versions below, for more information click on the images to go to their respective pages in the Nike Air Force 1 area of the My Sneaker Collection area of the site. Regular edition featuring the "LA" logos facing the correct way. Misprint edition featuring the "LA" logos facing the opposite way on one of the heels.